Get a shiny bright face with Barber’s Peel off masks. Buy Barber’s Club Charcoal Peel Off Mask + Charcoal Peel Off Mask with Honey – 60gms each at Rs 399 only on Amazon. Hurry!!! Order now before the price goes up. 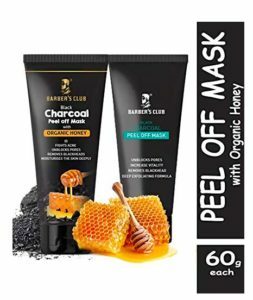 How to Buy Barber’s Club Charcoal Peel Off Mask + Charcoal Peel Off Mask with Honey – 60gms each at Rs 399 only?